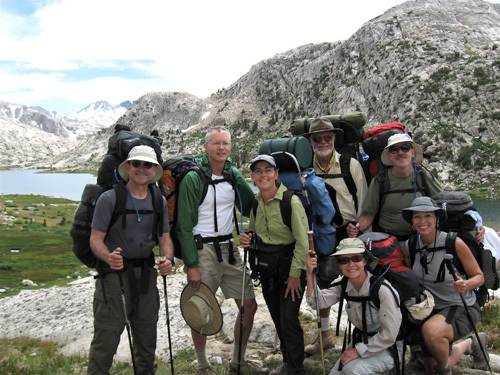 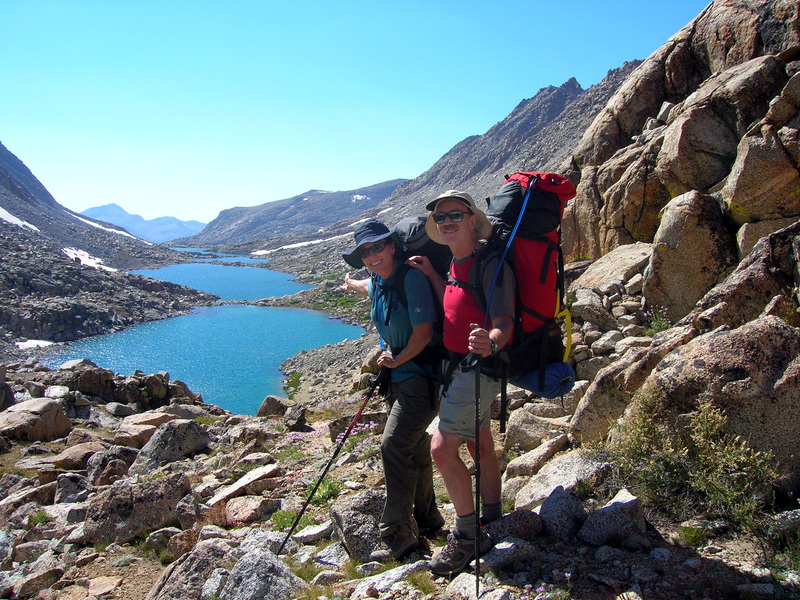 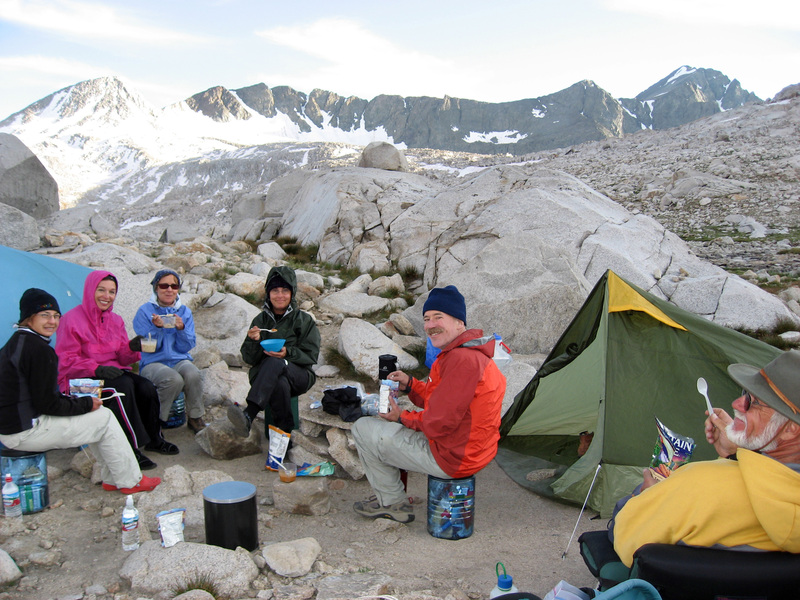 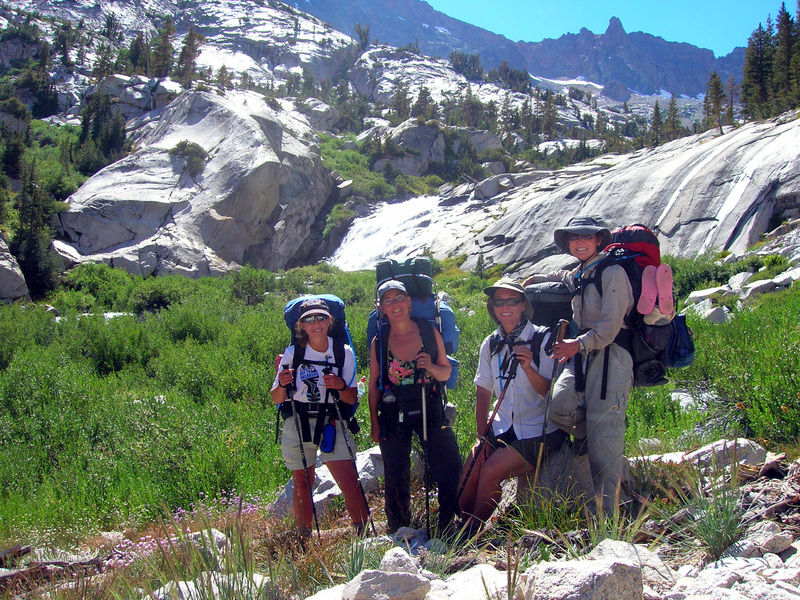 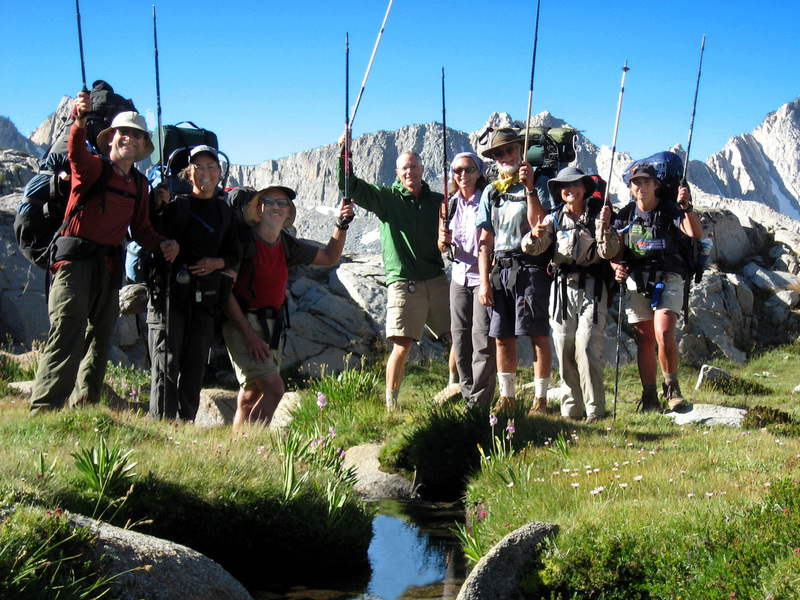 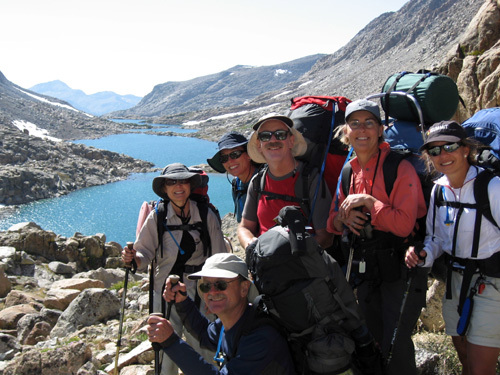 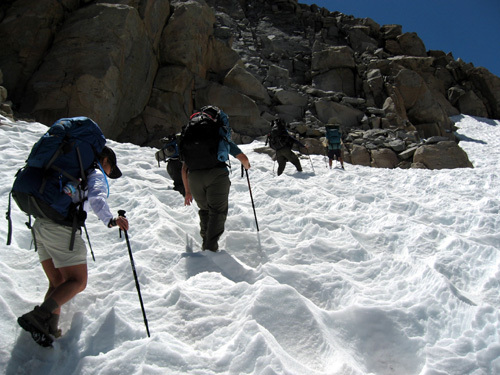 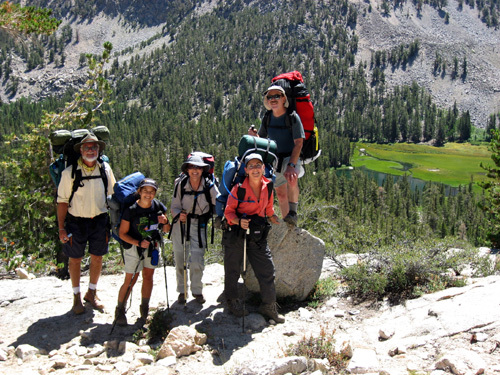 On August 20-26, 2006, Lise Buyer, Scott Cook, Patty Kert Dailey, Bill Edwards, Jay Helms, Jeffrey Scott, Katy Travaille, and Ann Waters back packed from the North Lake trailhead (20 miles east of Bishop, California) cross-country over Lamarck col into Darwin Canyon, south through Evolution Basin to Little Pete Meadow on the John Muir Trail, and up through Dusy Basin over Bishop Pass to the South Lake Trailhead.. 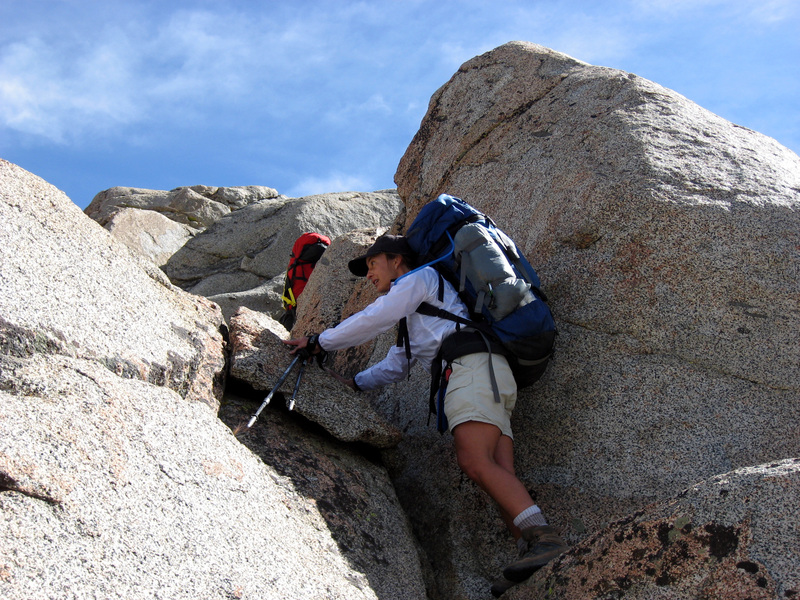 The 7-day trip was approximately 38 miles, with 8200' of elevation gain and 7700' of elevation loss. 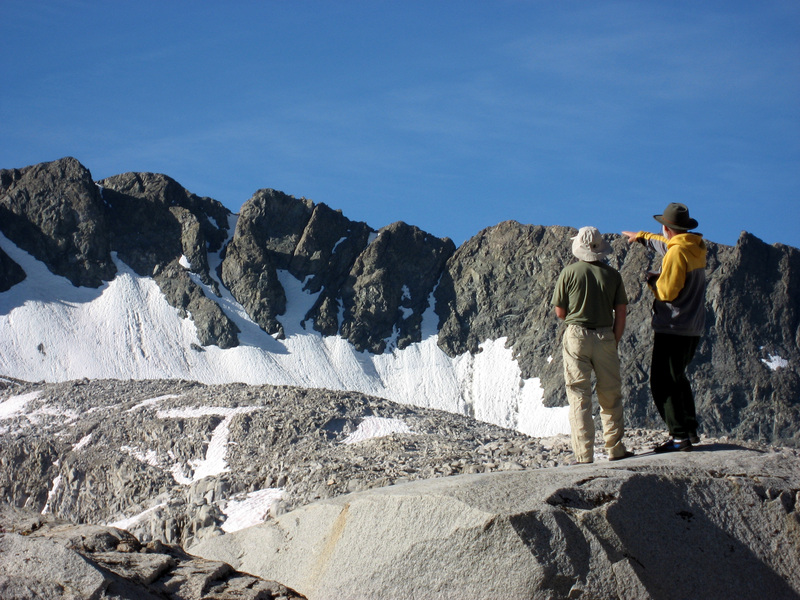 Most images may be clicked to bring up hi-resolution photos. 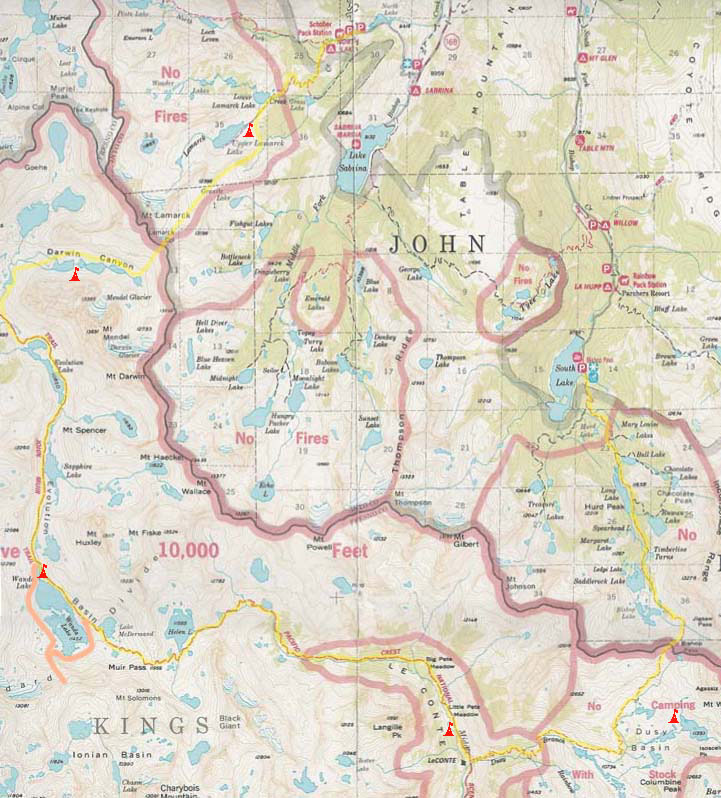 The map shows the route from north to south in yellow (day hike in orange) with camps indicated by red tents. DAY 4 (Wednesday, August 23): Layover day at Wanda Lake, with an optional day hike to the remote, intriguing Ionian Basin. The permanent show field on the east aproach to Lamarck col.
Jay Helms at Lamarck Col.
Patty Kert Dailey and Jay Helms overlooking Darwin Canyon. 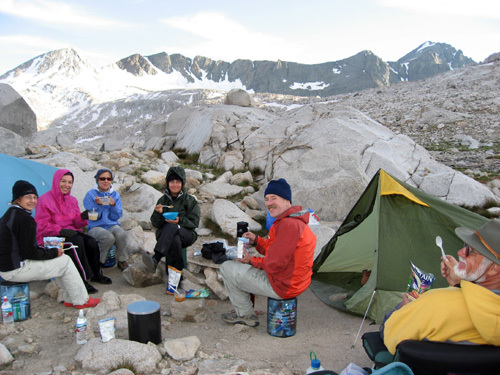 and Katy Travaille at Darwin Bench. Bill Edwards and Jay Helms at Wanda Pass. 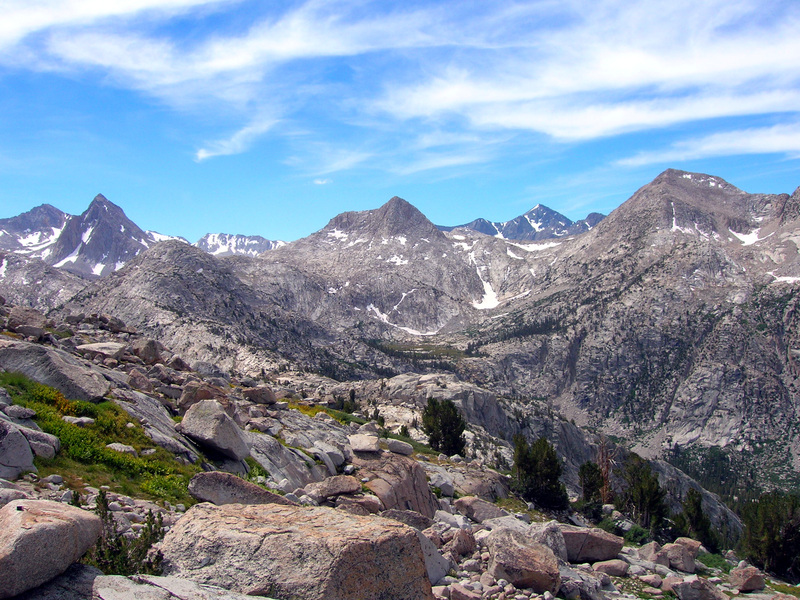 The Ionian Basin from Wanda Pass. Muir Hut at Muir Pass. 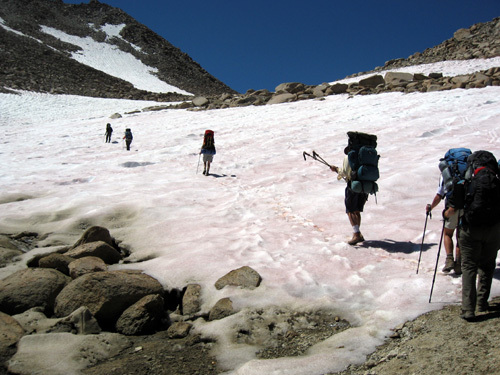 Descending south from Muir Pass. Looking back at Dusy Basin as we ascend to Bishop Pass on the final day. 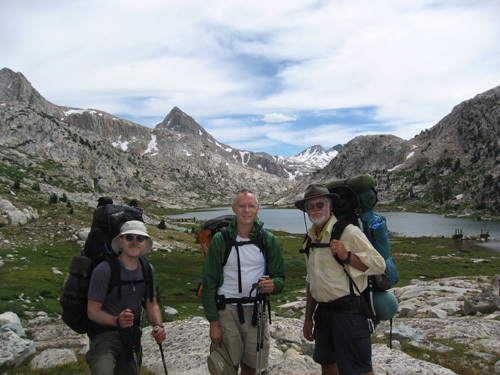 Bill Edwards, Katy Travaille, Jeffrey Scott, Jay Helms.